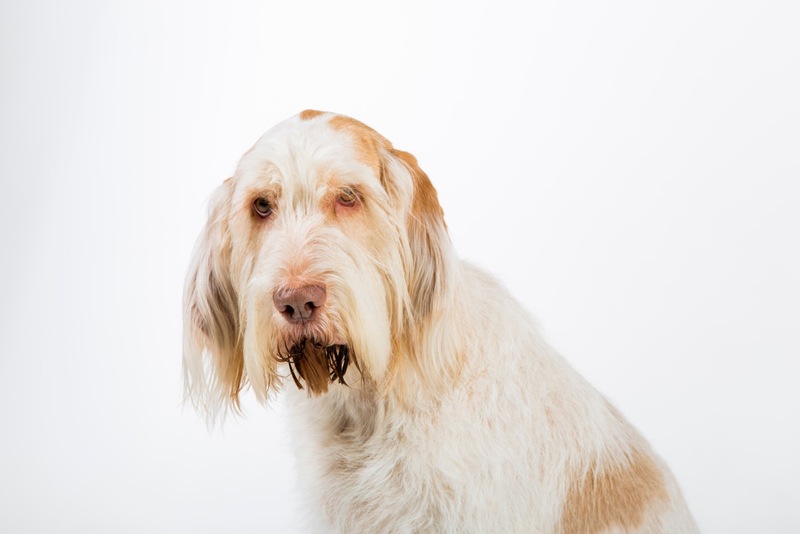 Fiona dalla Valle del Reno is an Italian Spinone (Spinone Italiano in Italian, itaalia karmikarvaline linnukoer in Estonian). She was born on the 24th of February 2010 in Germany. Her breeders are Ilka Kreft and Dr. Rainer Hofmann. 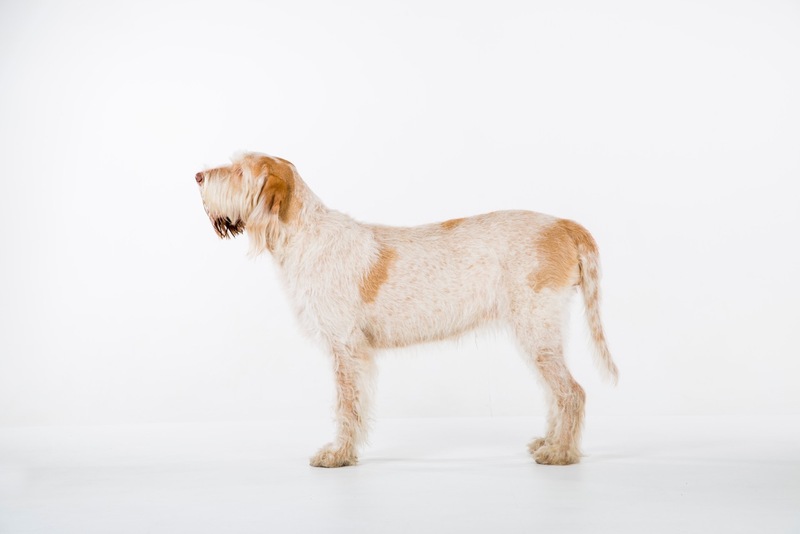 More information of the breeder’s kennel at http://www.spinone-online.de/. Now Fiona lives in Estonia with Maarja and Kert. Here is a picture of our wonderful family in Germany. 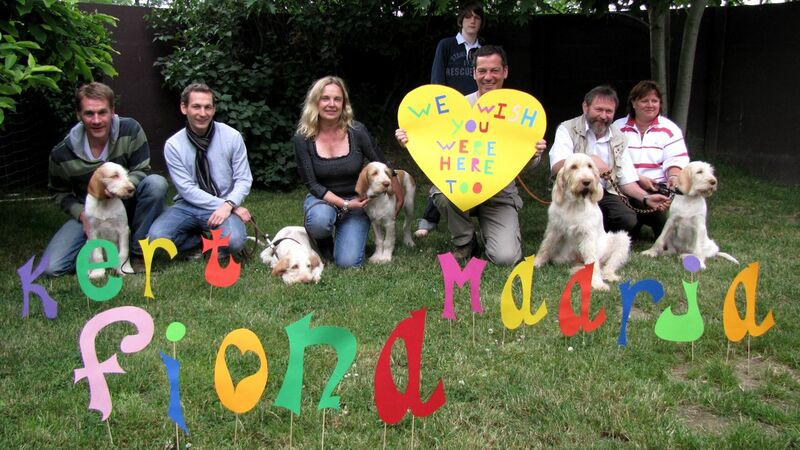 Fiona’s mother, brothers, sisters and their owners. The picture is taken on the 20th of June 2010.
this is Enzo from Dortmund calling. I first met your mum in Munich Germany. I think you are ever so beautiful. Thanks for all these wonderful pictures. I will carry on watching your photos in the future. I’m happy to hear from you! Thanks to you and our funny coincidental encounter in Munich we found Ilka and Rainer and our baby Fiona! 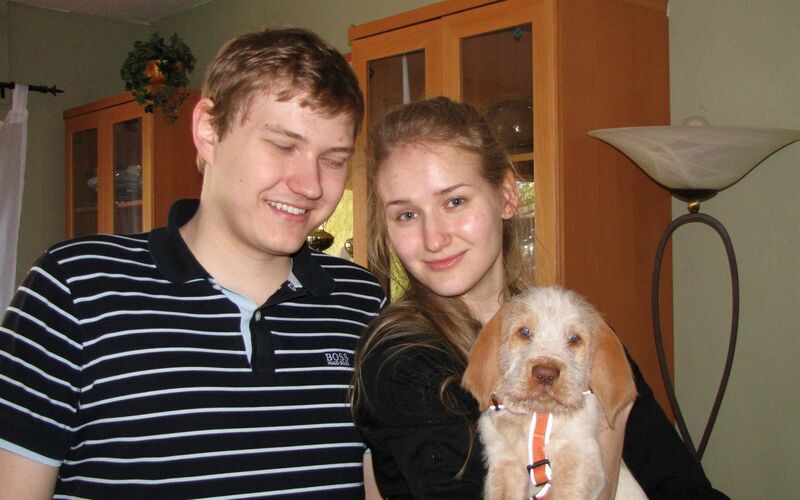 Congratulations on your new puppy with Best Wishes from the breeders of Jimbo, Bannonbrig Gentleman Jim, the ‘first’ Spinone in Estonia.